Hello Friends! 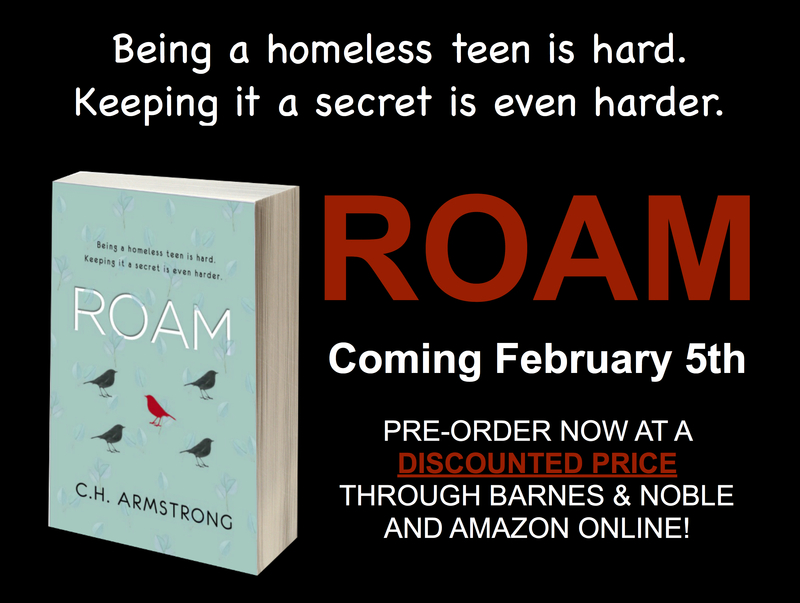 I can’t believe its just 7 days until the release of ROAM! I’m so excited I can barely stand myself! In celebration of this countdown, I’m having a GIVEAWAY! If you need a nudge to go ahead and pre-order your copy of ROAM (as if the discounted pre-order price isn’t enough! ), here’s another one! Take a photo of your receipt (or a photo of you with a physical copy) of the novel, ROAM, by C.H. Armstrong. E-mail the photocopy of your receipt or you with your copy of ROAM to contests4chabooks@gmail.com by by 11:59 PM Pacific Time on February 12, 2019. All entries received by the Feb. 12 deadline will be entered to win BOTH Prizes: (1) ROAM T-shirt (size XL only) and (1) ROAM Coffee Mug (Both prizes shown in image above). FEBRUARY 5th will receive a 2nd entry! Please note: This contest is open to US and APO Mailing Addresses, only.